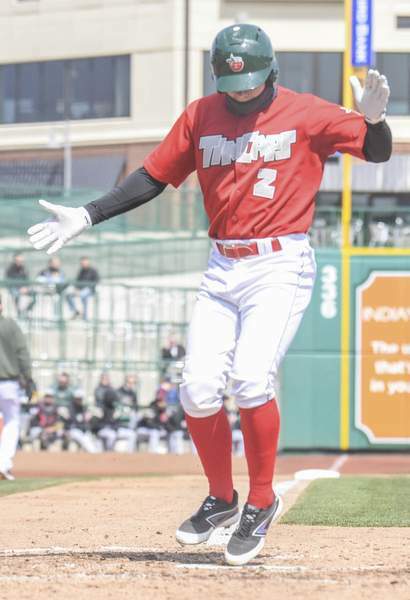 Michelle Davies | The Journal Gazette The TinCaps' Jack Suwinksi celebrates as he crosses home after hitting a home run in the fifth inning of Wednesday's game against Lansing at Parkview Field. 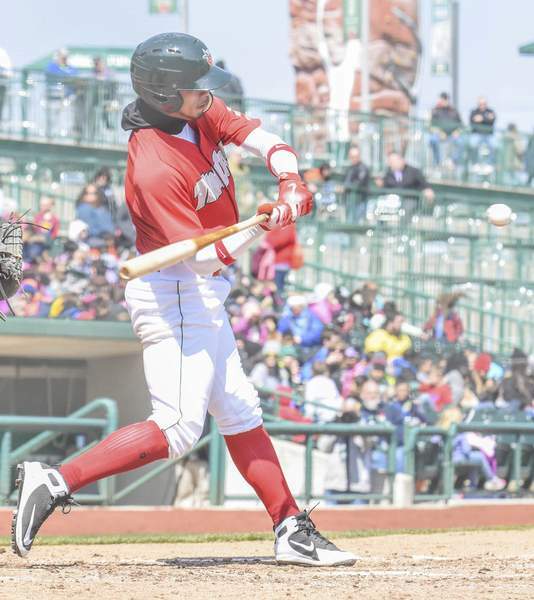 Michelle Davies | The Journal Gazette The TinCaps' Jack Suwinski hits a fly ball hit by Lansing's Reggie Pruitt in the sixth inning of Wednesday's game at Parkview Field. 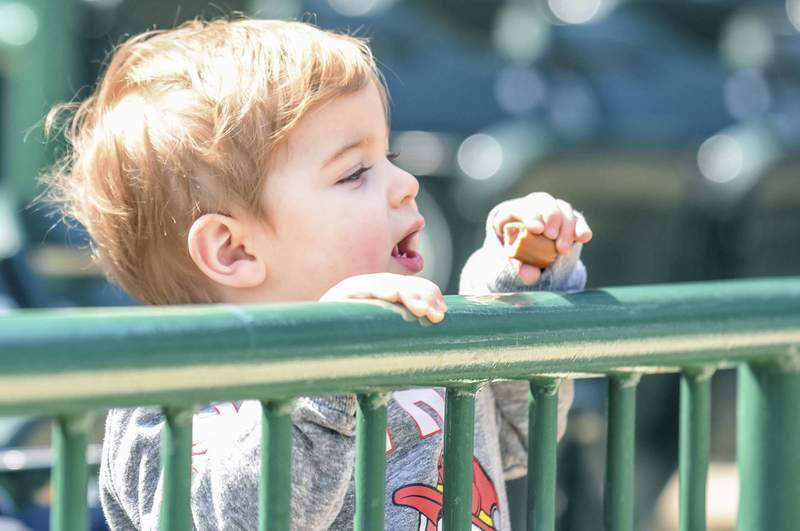 Michelle Davies | The Journal Gazette Grayson Schonefeld, 1, of Fort Wayne, enjoys a hotdog as he watches Wednesday's game between the TinCaps and Lansing at Parkview Field. 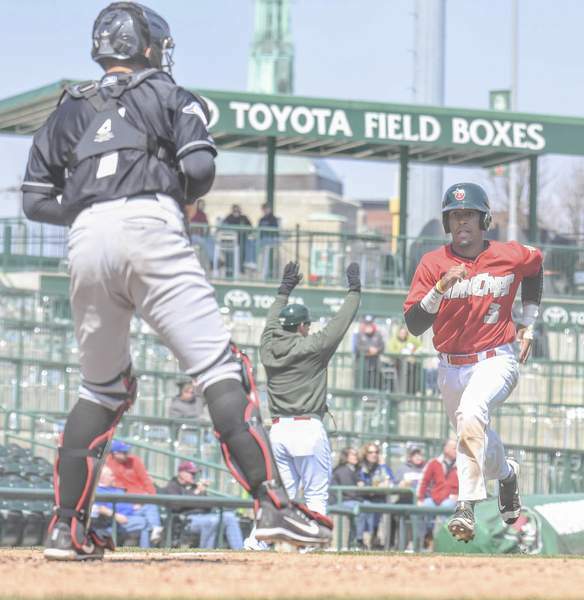 Michelle Davies | The Journal Gazette The TinCaps' Gabriel Arias gets a strike in the sixth inning of Wednesday's game against Lansing at Parkview Field. 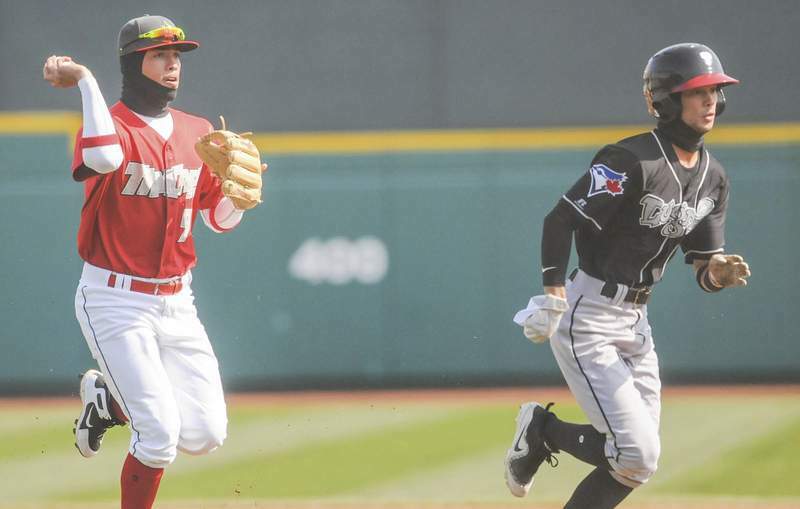 Michelle Davies | The Journal Gazette The TinCaps' second baseman Esteury Ruiz fields the ball and throws to first baseman Carlos Belen in the first inning of Wednesday's game against Lansing at Parkview Field. 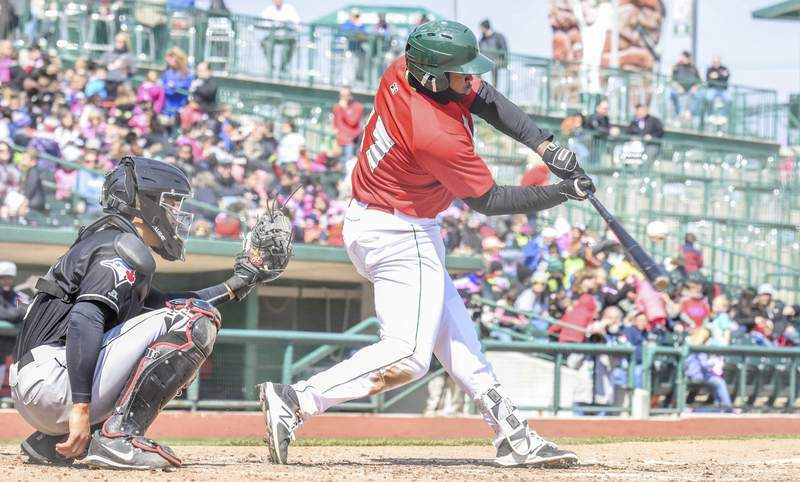 Michelle Davies | The Journal Gazette The TinCaps' Carlos Belen hits a fly ball to center field in the sixth inning of Wednesday's game against Lansing at Parkview Field. 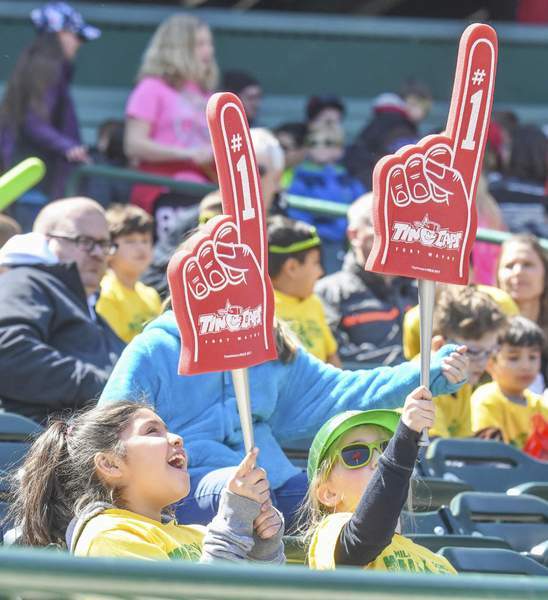 Michelle Davies | The Journal Gazette Milford Elementary students Rozelly Lopez, 9, left, and Peyton Hohman, 8, right, cheer on the TinCaps in Wednesday's game against Lansing at Parkview Field. 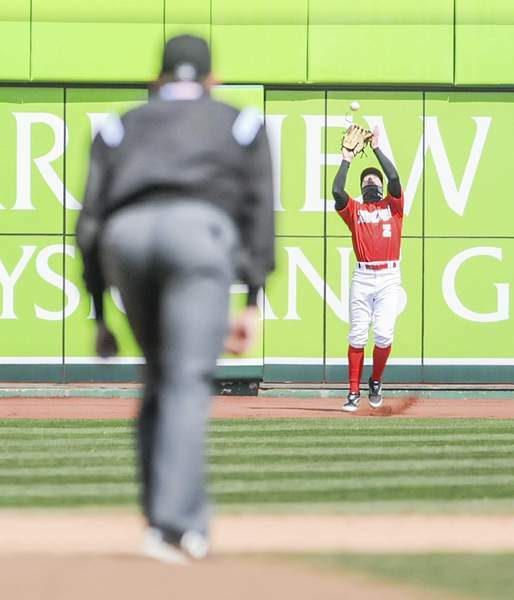 Michelle Davies | The Journal Gazette The TinCaps' Gabriel Arias catches Lansing's Kevin Vicuna in a pickle in the first inning of Wednesday's game at Parkview Field. 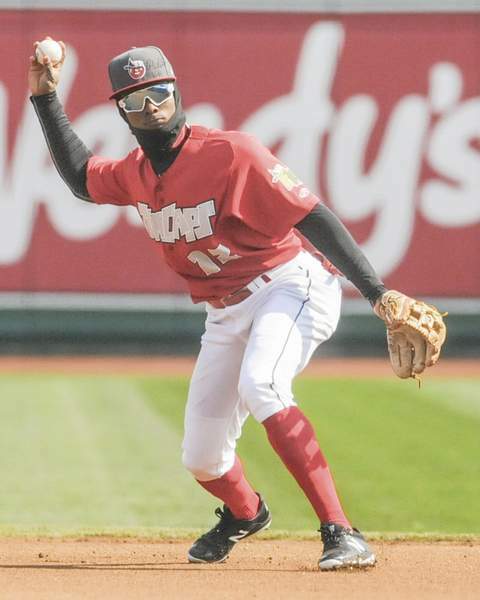 Michelle Davies | The Journal Gazette The TinCaps' Jalen Washington scores on a single hit by Esteury Ruiz in the seventh inning of Wednesday's game against Lansing at Parkview Field. 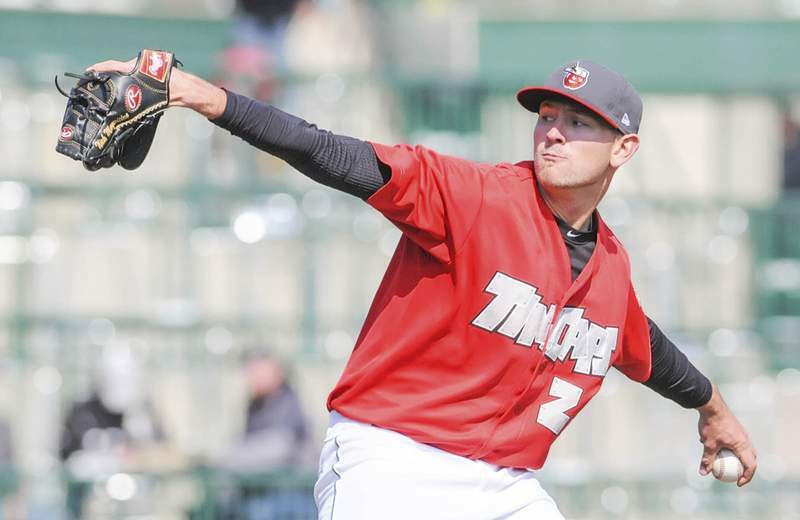 Michelle Davies | The Journal Gazette The TinCaps' Nick Margevicius was the starting pitcher in Wednesday's game against Lansing at Parkview Field. 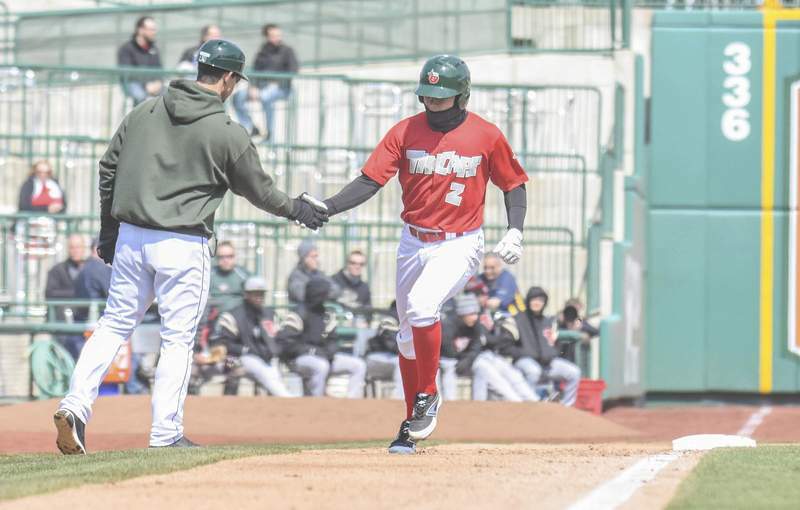 Michelle Davies | The Journal Gazette The TinCaps' Anthony Contreras congratulates Jack Suwinski on a home run in the fifth inning of Wednesday's game against Lansing at Parkview Field. 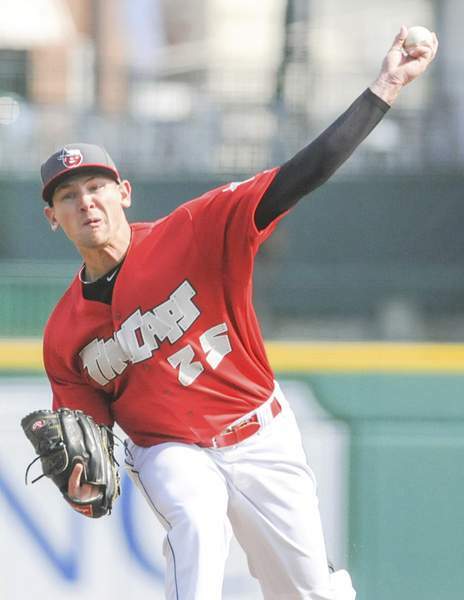 Michelle Davies | The Journal Gazette Nick Margevicius was the TinCaps' starting pitcher in Wednesday's game against Lansing at Parkview Field. 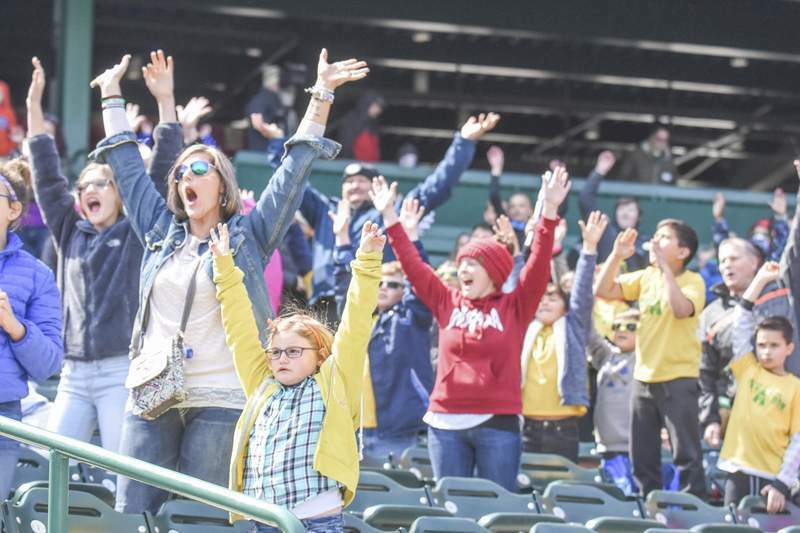 Michelle Davies | The Journal Gazette TinCaps fans make some noise in between inning of Wednesday's game against Lansing at Parkview Field.